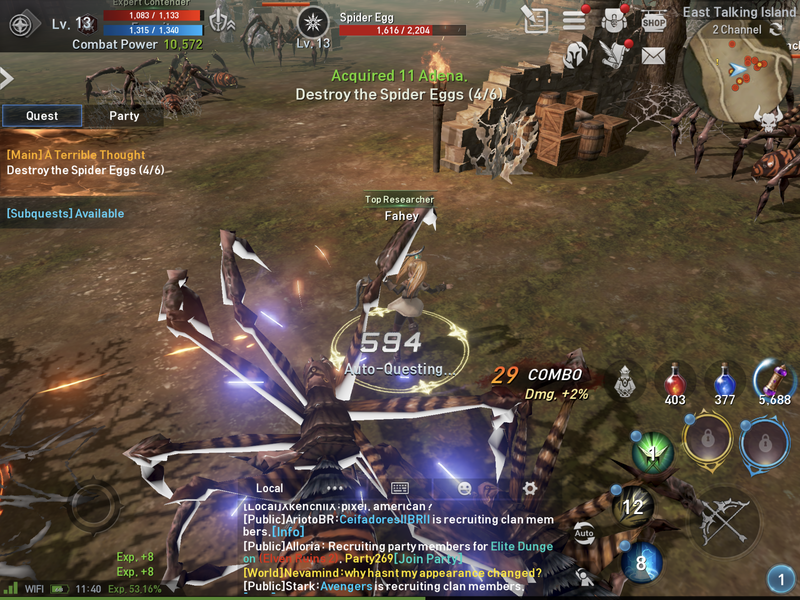 Released late last year in Asian territories to tremendous success, mobile massively multiplayer role-playing game Lineage 2: Revolution is now coming to iOS and Android in the West. 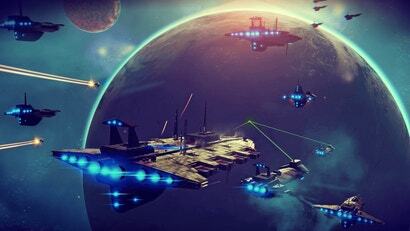 If the idea of a mobile MMO is daunting, do not fret - most of the game can be played on autopilot. The Lineage series has been around since 1998, when NCsoft launched it as its first MMO. 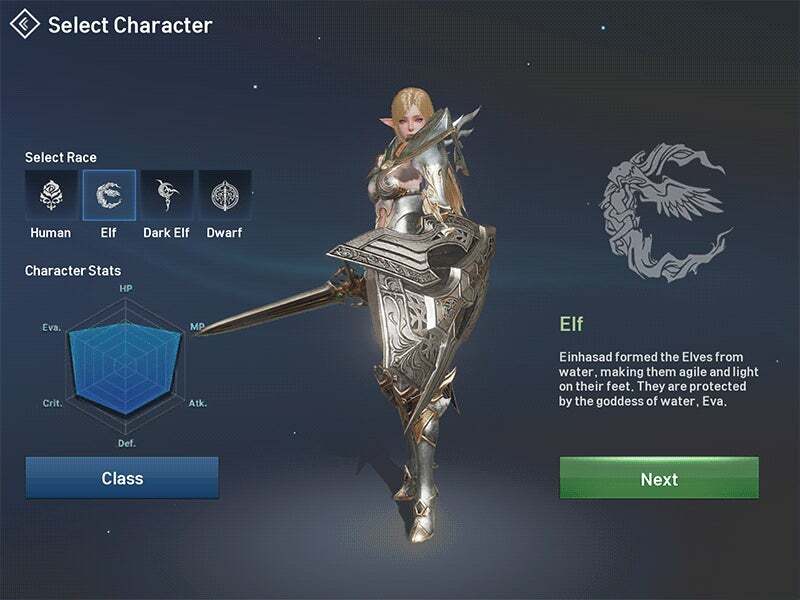 Lineage 2: Revolution is a direct sequel to 2003's Lineage 2, itself a prequel to the first game. The timeline's a little confusing, but you don't really need to know the lore to play the mobile game. Players create a character from one of four races (human, elf, dark elf and dwarf). There's no picking genders or customising faces, though there are three hairstyles to choose from. From there players pick a class (warrior, rogue or mystic), enter a name, and they're ready to start questing. Or auto-questing. The screen's a bit cluttered, but it's pretty. Players can utilise a virtual on-screen joystick to move themselves around and activate skills, if they so choose, but the robust auto-questing feature makes all of that largely unnecessary. 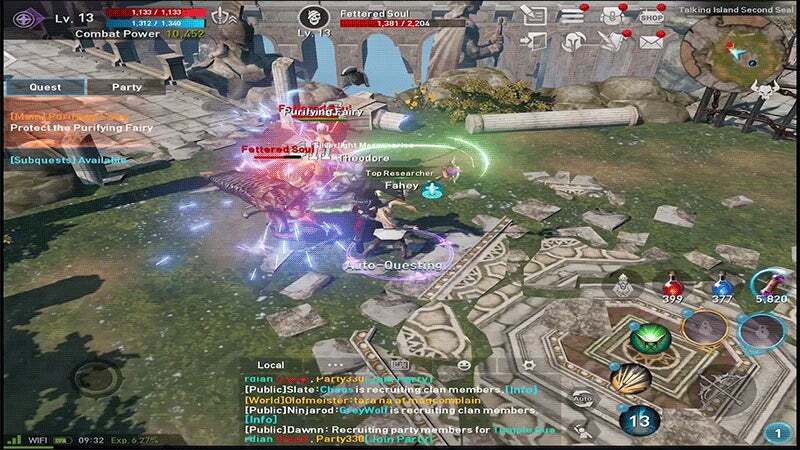 It's a common feature among mobile MMO games, helping get around the whole touchscreen controls thing, but Lineage 2: Revolution does it particularly well. Tapping a quest automatically runs the character to their goal. If creatures need to be killed, they will kill the requisite number and move on. If an NPC needs to be chatted with, the character runs to them and opens a dialogue. Check it out in action below. Aside from challenge dungeons and PvP content, where the player must take control of their character, it's pretty much all automatic. 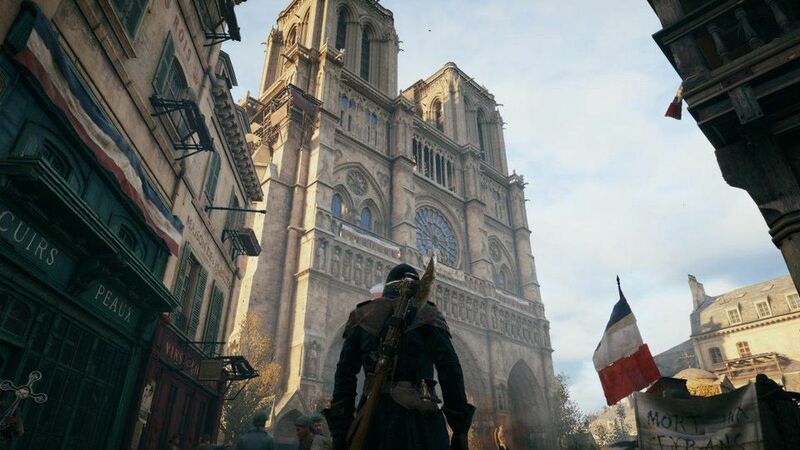 That means that the bulk of the game is managing equipment, upgrading skills, unlocking achievements, and trying not to spend too much in the game's cash-shop. I can handle that. I'm only a few hours in, but so far Lineage 2: Revolution has been much more relaxing than I expected. The game requires almost no effort. In fact, I am playing it right now. Pro-tip Mike, if you don't wanna get caught playing on your Phone at work with your head down, install Vysor for Google Chrome on your PC and display + control your Mobile Phone through your PC :P it's free. Low quality display on the free version of the app, but it works great. Not gonna lie, it's a bit annoying how automated it is... But it's been great to do in between jobs at work. That said however, at level 21 now, if the game continues to be exactly the same automated play style after 30, I'm just going to dump it and call it quits. I played the Korean Release of it on my partner's phone earlier this year (she has a Korean Playstore Account) and it's pretty much exactly the same from level 1 to 15. In Korea, most mobile games have AUTO mode. You can press a button and the game plays the easy mindless stuff itself and you can take back control to play the trickier parts that require more skill. 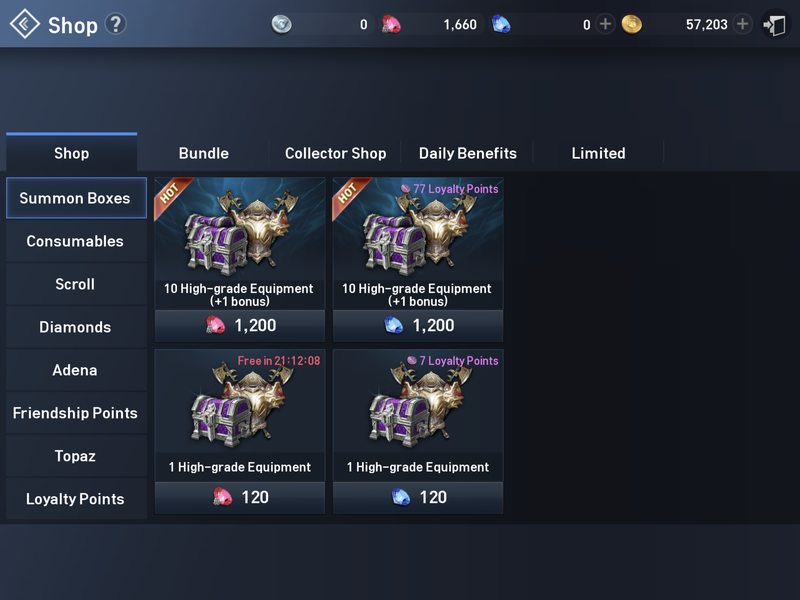 Most Koreans I know have the game running at work or in class, so that their characters are farming in the background while they focus on other things. Korean games that are released that do NOT have Auto mode are bombarded with complaints like "This is 2017. How can you not have Auto mode?" "I don't have the time to focus on one game all the time" etc. The latest Korean phones (e.g. LG V30) also have a "Take a Break" mode which dims the brightness and resolution automatically in order to save battery while farming. At 26... what is level grind and how do I burn it from the face of the earth? Yeah looks like a f2p riddled grindy mess. Gonna give this a miss. The amount of youtubers these devs have paid to promote the game also shows me the game is not good. What the heck. Could've sworn I posted a comment here... I'll post it again - Is this a paid advertisement? As all I've seen for this game is a ton of paid advertising for it. Ranging from youtubers and even Conan. Actually curious. And don't delete my post if it is. You can try to play the game on your computer to be more relaxing by using ApowerMirror program. Bigger screen and easy to control with your mouse. Switch to full screen, it will be more interesting!